James McGroarty established Brownhall Salers in 1999 and he has purchased several high-ending breeding animals from France. He has sold stock throughout Ireland; Wales and France. James McGroarty went in search of an easy calving, care-free suckler breed when he took the reins of the family farm, following his father’s retirement. This is when the Brownhall, Ballintra, Co. Donegal native stumbled across an article in an Agri media publication profiling the Salers breed. Impressed by one of the world’s oldest distinct cattle breeds, James sourced two foundational females from Michael McKeown – Gurteen, Co. Sligo in 1999. James – who founded Brownhall Salers – undertook his first journey to the ‘Home of the Salers’ in Auvergne in the Massif Central of South Central France along with Professor James Mason, Co. Wicklow in 2001. He purchased two heifers at an auction sale in France and a bull from one of the farms he visited during his travels. Both James and Professor Mason have played a key role in the rising popularity of the Salers breed in Ireland. The duo took a group of ten farmers with them during every trip that they made to France to introduce others to the breed. James has made this journey at least once a year since his initial visit, with the exception of about three years and he has used this as an opportunity to source quality lines that have allowed his herd to reach new heights. 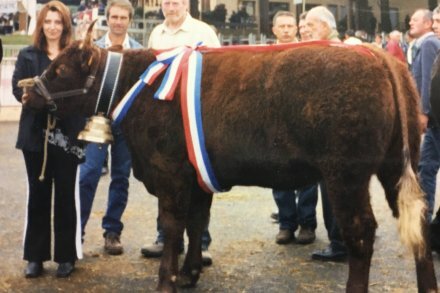 In 2005, he secured the Overall Salers Champion at the show and sale – Uranie – an-in-calf heifer for €11,500 and in 2006, James forked out €5,000 for Sophie – a heifer at a show and sale in France; these two females have left a powerful mark on the Brownhall Herd. “I was in Castle Douglas at the English Show and Sale recently and I got a picture of a grand-daughter of Uranie out of a bull that I sold to a farmer in Northern Ireland.” James McGroarty told Catherina Cunnane – That’s Farming. Up to twenty-five pedigree registered breeding females dominate the Ballintra-based holding, with 95% of progeny sold for breeding purposes. 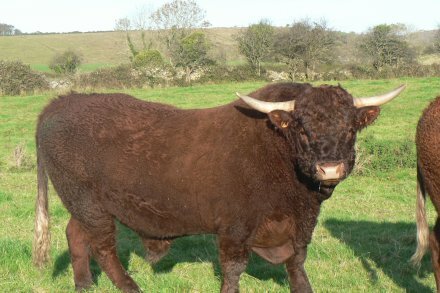 He offers surplus breeding stock for sale at his local mart; at society show and sales and from the farm gate, with purchasers located North and South of the island and across the waters. Deals were sealed for an in-calf heifer for €3,500 recently and in addition to this, 11 out of 12 of James’ bulls this year, with the remaining bull set to be offered for sale in early 2019. 2006 marked a historic milestone for the herd and the breed as a whole, as one of James’ first bull calves – a son of Uranie – was sold to a breeder in France. 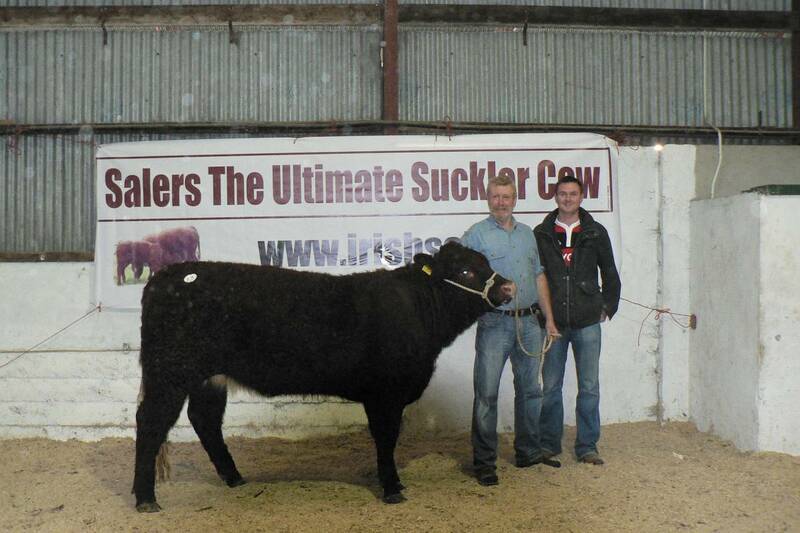 In 2009, the Donegal man set a new Salers Cattle Society sale record with Brownhall Impressive [main image]; this 20-month-old heifer, sired by Sully was knocked down at €5,800. James also claimed the top price of the day at the 7th society show and sale in 2011 with Brownhall Jordan – an in-calf heifer by Rio and yet another daughter of Uranie; she was acquired by a Welsh breeder. Keeping in line with this, James has purchased the majority of his cattle from Jacques Phialip, in France in recent years. James aims to AI approximately one-third of his high-end cows before they are turned out to grass; these are served to superior French bulls and are mopped-up with a stock bull. Calving takes place from December-April, with a few late-calvers, although James hopes to tighten the calving window over the next few breeding seasons. As Brownhall Salers edges closer to marking its twentieth anniversary next year, James is satisifed with the performance of the breed and its suitability to his system. He highlighted that the breed’s desirable traits include ease of calving due to a large pelvic area; strong maternal traits; good fertility and high longevity. He said that the breed can thrive in challenging condition and experience limited issues with their feet because of their hard and resistant hooves. 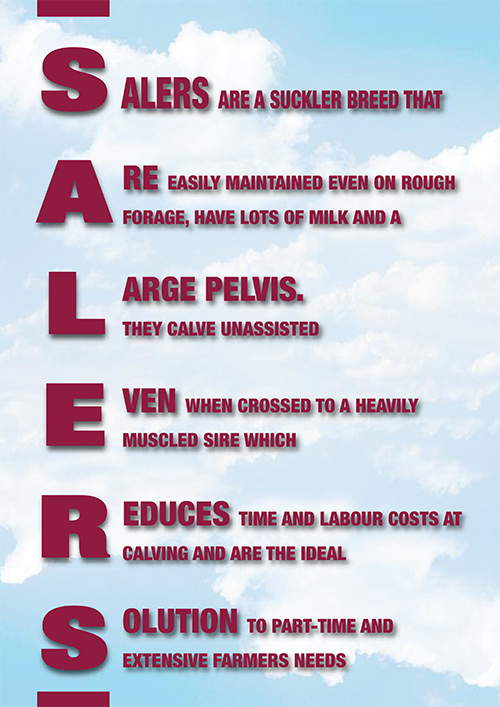 With a firm belief that Salers is the ideal suckler dam, James noted that cows calve unassisted even when they are bred with terminal Continental sires. He says that all of the aforementioned traits explain why the breed is dominating and topping ICBF’s replacement lists. Looking forward, James is satisfied with his herd size as he is in a position to offer a wide selection of good quality breeding stock for sale. He will continue to inform other farmers about the breed, sharing his extensive experience of close to two decades and fulfilling his duties as a Salers Cattle Society committee member, having served as a Vice-Chairman in the past. 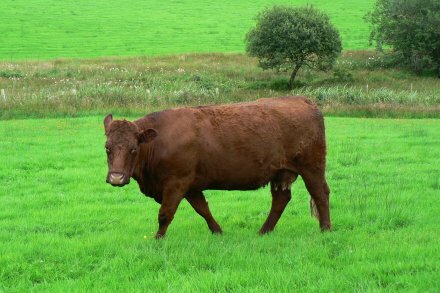 “I would encourage other suckler beef farmers to consider Salers if they are looking for a profitable breed,” James concluded.